SAS’s announcement last week that it plans to invest $1 billion in artificial intelligence over the next three years may have taken some by surprise. The Cary, North Carolina company, after all, is the standard-bearer for the previous age of business analytics. But SAS refuses to cede ground to the new generation of AI startups, and has big plans to integrate AI with its proven analytical approach. Behind the leadership of co-founder and CEO Jim Goodnight, SAS has been a trailblazer in the field of analytic software, not to mention a groundbreaker in corporate management in general. Perks like a 35-hour work week, unlimited sick days, and free M&M Wednesdays has garnered fierce loyalty and low turnover among a workforce that today numbers around 14,000. Meanwhile, its R&D investment is often twice what its cohorts spend, which helps to keep the $3-billion company’s analytic offerings on the cutting edge. The new $1 billion investment in AI can be seen impacting both of these aspects of the company – its position as the preeminent brand for business analytics, which will help to attract the best and brightest to SAS, while also bolstering the underlying capability of its analytics software to give customers a competitive edge. SAS plans to target three main areas with its $1 billion investment, including R&D, education, and services. 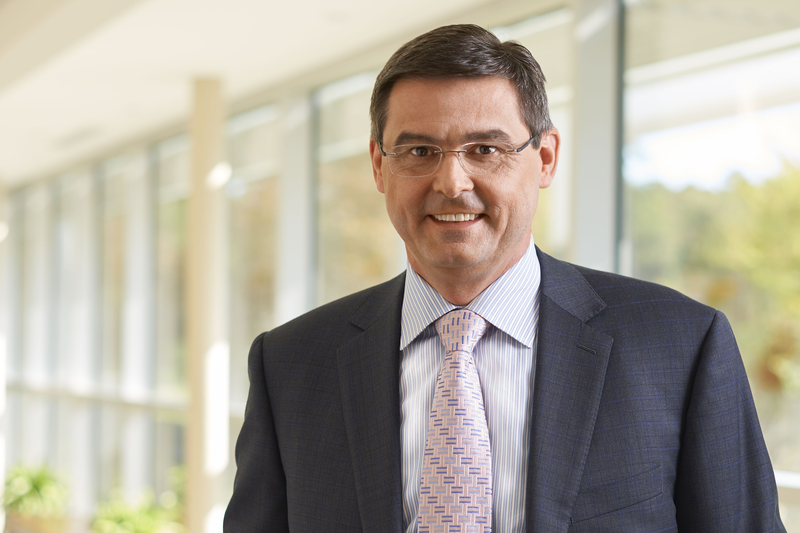 During a conversation with Datanami at Nvidia‘s GPU Technology Conference (GTC) last week, Dr. Goodnight and SAS COO and CTO Oliver Schabenberger expanded on the investment, and discussed where they think the AI revolution will take us next. On the software front, the goal really is not just to continue building AI tools, but instead to find ways to embed AI into workflows, Schabenberger said. “We see a lot of value in what I call the democratization of analytics, the democratization of AI, and embedding AI into our products and our solutions,” he said. Much of the emerging AI tech is complex, and companies need a helping hand. SAS intends to provide that through its services arm. “We see a big role for us in efficacy and advisory services and helping them get up the learning curve,” he said. By investing in improving AI products, AI education, and providing better AI services, SAS intends to help kickstart the AI practices of its clients, while turning AI science projects into full-blown production mode. Too many companies are stuck in AI science project mode, Schabenberger said. That’s because they underestimate the difficulty in making the big step from having a clever machine learning model that works in theory to actually having a machine learning model that impacts the business in a meaningful way. With a 43-year legacy in providing business analytic solutions, SAS is arguably among the most well-qualified companies to help large Fortune 500 firms take AI from science project to production solution. To that end, a lot of SAS’s future success with AI hinges on its Viya platform, which it’s positioning as the main vehicle for helping clients move their data science and AI initiatives forward. Viya, which SAS first unveiled in 2016, is a collection of data science development and runtime components, including Data Preparation and Model Manager, Visual Data Mining and Machine Learning (VDMML), and Event Stream Processing, among other modules. Users can interact with Viya in the traditional SAS language or program in a more visual, drag-and-drop manner if they choose. The software also supports both cloud and on-premise deployments. Viya also supports emerging environments, like Python, which is arguably the most popular language in data science today. According to Dr. Goodnight, SAS has strived to make Viya welcoming to the burgeoning AI space, compatible with open source languages, emerging frameworks, and speedy GPUs, while still delivering the enterprise-level features and performance that longtime customers have come to expect from SAS. In addition to supporting Python, Viya customers can leverage GPUs, Dr. Goodnight said. “Not only are we massively parallel, but by putting Nvidia chips in there, we can make it even faster,” he said. Much of the excitement around AI these days focuses on neural network models and deep learning. Frameworks like Tensorflow, PyTorch, and MXnet help developers create complex machine learning models, often running on GPUs, that train against millions of features. These deep neural nets so far have mostly driven advances in computer vision and text processing applications, but other applications are beginning to emerge. As deep learning becomes more applicable to non computer-vision and text-processing problems, SAS intends to be there to help customers figure out how to make it work for them. That’s another aspect of the $1 billion AI investment to watch out for. In particular, SAS is exploring how best to solve deep learning’s explainability problem. In many ways, the $1 billion investment in AI that SAS has pledged is not anything new. There will be no radical transformation of the privately held company, which has weathered recessions, technology booms, and busts without much drama, at least to the outside observer. “It’s just a continuation of the last 10 years of investment in high performance computing,” Dr. Goodnight said of the $1 billion investment. We are in the early days of AI, in many ways. While it may seem that the field has become quite sophisticated, there is room for a lot more automation, at least in the eyes of folks like Dr. Goodnight and Schabenberger. That leaves plenty of room for SAS to innovate on technology, differentiate on products, and claim its share of the emerging AI pie.